PSA Group has fulfilled a promise to publish ‘real world’ fuel consumption tests for its cars – and revealed the glaring inaccuracy of the industry-standard test. The promise by PSA – parent company of the Peugeot, Citroën and DS Automobiles brands – came in the wake of the Volkswagen emissions scandal last year, and according to the group has been done to offer transparency to its customers. The group has published real-world figures for 30 of its core models and shown what motorists have long known – the automotive industry’s recognised test, conducted in a laboratory, is woefully inaccurate. On average, vehicles recorded real-world consumption figures around 20mpg worse than the official combined cycle fuel consumption figure. The smallest difference was produced by a Peugeot 2008 1.2 PureTech 82 model with a manual gearbox, which returned 44.1mpg, only 13.5mpg less than the official figure of 57.6. At the other end of the scale a Citroën C3 BlueHDi 75 with manual transmission and stop & start returned 57.6mpg, a staggering 36.5mpg under the official figure of 94.1mpg. 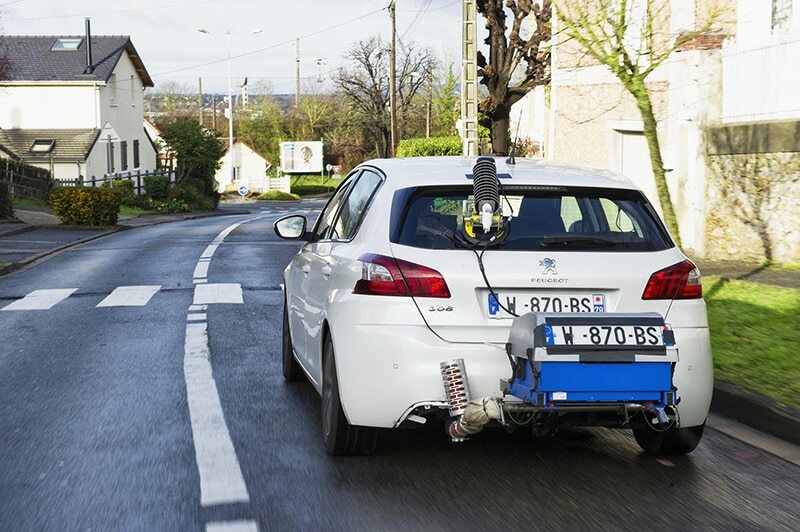 The test procedure was established by two independent French organisations, Transport & Environment (T&E) and France Nature Environment (FNE), and measures fuel consumption using a portable emissions measurement system (PEMS) installed on the vehicle. Bureau Veritas, an independent and internationally respected body, guarantees the procedure, ensuring that it is conducted in line with specifications and that the results are reliable. Tests were carried out on public roads open to traffic, using 15.5 miles of urban routes, 24.2 miles of rural roads and 19.2 miles on a motorway, and under real-life driving conditions, with passenger and luggage loads, encountering gradients, and using air-conditioning systems. Announcing the results PSA says they are comparable to those recorded by its customers who contributed to independent surveys, and shows that the procedure is scientifically robust, reproducible and representative of a typical driver. PSA added that it took the decision to publish real-world data in November 2015, as consumer confidence in car efficiency testing was collapsing. Taking testing onto real roads has exposed the inaccuracy of the official consumption figures. “As part of its drive to continuously provide customers with more information, the Group will publish figures for another 20 models by the end of the year,” says PSA research and development head Gilles Le Borgne, adding that the brands will introduce simulators on their websites allowing customers to predict their fuel consumption depending on driving conditions, and offering ways of reducing consumption and lowering their CO2 emissions. “In 2017, the PSA Group will move to the next level by extending measurements to pollutant emissions of nitrogen oxides (NOx) in customer driving conditions,” Le Borgne adds. The market will now be waiting to see if the PSA Group initiative is taken up by other brands.